One where some question Collins’ future with the team once his suspension is lifted. You know the old saying: fool me once, shame on you. Fool me twice, shame on me. The story is going to go in some tough directions for Collins and the Falcons. The latter must decide his future with the team – he’s got one year left on his rookie deal after the 2017 season, and he may not be needed in the secondary if C.J. Goodwin and Deji Olatoye, two more young-but-promising corners, end up impressing during the preseason and regular season. Why take away their snaps if they’re playing well? The story might lead Collins away from Flowery Branch for good – a troubling twist in a tough tale for the 2015 second round pick from LSU. Today, the story took a sad turn. Well, it was different in January. In the 2017 NFC Championship, Collins was a starter on a team trying to make it to its first Super Bowl since the late 90s. Let’s back up a bit. A few weeks after the first suspension lifted, the story shifted quickly for Collins – he was thrusted into a starting role with the team after Pro Bowl CB Desmond Trufant, the bright spot on a spotty defense, went down with an injury. Many fretted what this would mean for the Falcons’ chances of making it back to the postseason. 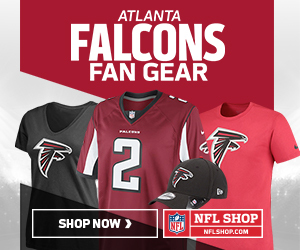 Is Trufant being gone the rip that ruins the cloth? Can Collins really fill in for one of the league’s best at a vital position? Funny enough, he did, and wasn’t half bad. It was as encouraging a story as we’ve seen in Falcondom over the last few years – a guy some fretted would never put it together came out and played his heart out, giving the Falcons hope that one of the most important positions on the field would be secured. Collins wasn’t a world breaker, but he did his job – he nabbed in two interceptions, had ten pass deflections and tallied 31 tackles (28 on his own). Not half bad for a guy some thought was in the gutter. Then, came January. Then, came the playoffs. Collins would end up making two seismically-huge plays to kill the momentum of the Falcons’ opponents. Believe it or not, the story led Collins to becoming one of the team’s postseason heroes. In the divisional round, the Seahawks were down 20-36 to the Falcons, with 2:21 to go in the fourth. 16 points is a lot to overcome, but, come now, it’s the divisional round of the playoffs. For the Falcons. Against Seattle. Making a potential comeback. If it weren’t for the foot of Matt Bryant, we’d think very differently about that sequence of words. So, Russell Wilson was trying to get his team down the field to get a touchdown – they get it, and you’re an onside kick away from an embarrassing collapse. As we saw, the Seahawks didn’t get to that next touchdown – Wilson’s ball was thrown to a receiver sandwiched between De’Vondre Campbell and Collins. The ball hit the trio funny, Collins makes an incredibly acrobatic move to keep the ball in the air, and Deion Jones swoops in to get the interception and take the last bit of mojo away from Seattle, sending the Falcons to the NFC Championship. Yes, the NFC Championship. One could argue the play that changed the game, which put the Packers on thin ice (or as the kids say, left them “shook”), came when Rodgers and crew were driving into Falcons territory. The Pack called a run with their bulldozer of a fullback, Aaron Ripkowski. Well, the sad irony of having the word “Rip” in your last name came into full fruition when someone came in and ripped the ball out of his hands. That someone was Collins. As Ripkowski began to plow his way to putting the Packers on the board (making the game 10-7 and a nail-biter), Collins came in to claim what was his – he snagged the ball out of Ripkowski’s hands, recovered the fumble, and the Falcons never looked back. Collins is an emotional guy when he makes a big play – he swings his arms back and forth as he almost a strut-runs forward. It’s kind of fun to watch him celebrate. He is a very loud and proud guy on the field. His jubilee after the turnover was infectious. At that moment, some began to wonder if the Falcons had a starting corner on their roster waiting in the wings. Sure, Collins dipped a bit two weeks later – Tom Brady got the best of him during the game, showing that, maybe, the young corner still has something to learn. Sadly, we now know how much to learn he really has. Collins proves time and time again that stories can change in instant. His story began to take the downward swoop this summer when he was running with the reserves in training camp practice. A big deal? Well, maybe, maybe not. Coaches are funny, the Falcons are deep at corner and Collins may have not needed those reps for a guy with starting experience. Well, so sayeth the eternal optimist. Now, the page has turned, and Collins is staring at a future in question with the team who drafted him. If the team does not need him when his suspension is up, placing Collins on the waiver wire might be what’s best for both Collins and the organization. If the team struggles at cornerback this season behind Trufant and Alford, Collins will all but assuredly be back. But, if everyone plays well, why keep Collins out a full season when a team struggling at the position could give him reps, and maybe a future? Plenty of teams with lacking depth at CB would likely be more than thrilled to claim him off the wire if he hit it. Who knows what Quinn and Thomas Dimitroff have in mind? The statement they put out wasn’t a happy one. All options are possible; none are known. What we do know is this is a sad new chapter in the story of a guy who showed so much promise. But, again, Collins proves that stories have a habit of changing in an instant, when we least expect it, swinging from one side of the fence to the other. No one knew Collins would be the replacement he was for Trufant last year – a delightful surprise that kept the team afloat through troubled waters. And, sadly, no one knew the next step in his development would see him right back on the suspension list. In the NFL, three suspensions, and you miss two years. Good luck getting back in the league. Ask Josh Gordon how that goes. Collins made a bad decision. Some call him a dunderhead, call for him to be cut. Others express their frustration, begin to get a little more nervous about the depth at cornerback this season. The typist at the keyboard now feels sad, like he believes all of us do deep down. We may not see Collins in a Falcons uniform again during the regular season. When the suspension is up, that might be his curtain call in Atlanta. But, for Collins the player, the story’s not over yet. What’s to be written has yet to be seen. Let’s hope it’s an uptick in the right direction. Let’s root for his next comeback moment, wherever that might be. Let’s hope it’s in Atlanta, and we’re singing his praises once more as he helps the team bring home a Lombardi. After all, everybody loves a happy ending. No better way for a story to end.